As your children get older, it’s important to find dental services that will meet them at every stage of their young lives. From infancy until they’re ready to head off to college, the team at Sprout Pediatric Dentistry & Orthodontics is committed to providing trusted dental care for your kids. Pediatric dentistry is a specialty that focuses on the individualized dental needs of infants, children and teens. It sets us apart from other dental practices that serve adults because we understand what kids need. From their active enthusiasm to their trepidations about going to the dentist, we can handle any situation that arises. Your child’s medical needs require age-based specialists called pediatricians, and it’s the same with dental care. Our dentists have completed specialized training and coursework to prepare them to work with children. Your child’s mouth demands gentle hands and special expertise, which we can provide. Plus, we love the exuberant enthusiasm each of our young patients brings, and we tailor our treatments to meet the needs of the individual child. What are you waiting for? It’s never too soon to establish a secure dental home for your kids. Right now is when your child is developing long-term dental habits that will set them up for lifelong oral health. 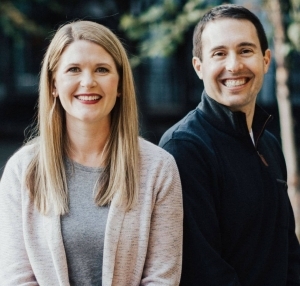 If you’re looking for a children’s dentist near you, look no further than Portland’s own Sprout Pediatric Dentistry & Orthodontics. We can’t wait to help your kids get excited about going to the dentist. Most parents don’t realize that getting a head start on dental care is a great way to start things out for their child. In fact, many children don’t have their first dentist appointment until the age of two. According to the American Academy of Pediatric Dentistry and the American Academy of Pediatrics, infants should have their first dental exam within six months after their first tooth erupts, usually at about one year of age. If your baby is over the age of one and has never been to the dentist, don’t worry. It’s never too late to bring your infant to Sprout Pediatric Dentistry & Orthodontics and establish us as your baby’s dental home. The younger your child is when we begin seeing them, the more they can become familiar with the office atmosphere and even start to recognize our dental staff. This process allows us to help alleviate much of the childhood fear of the dentist that can develop. You may be wondering what dental care for your infant actually entails. The most important aspect is establishing healthy dental habits as early as possible. We’ll also provide consultations for parents and regular checkups and exams. 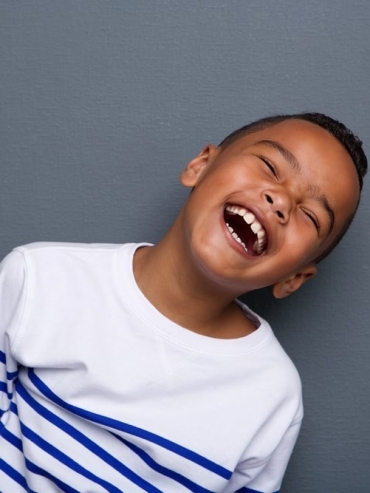 Consultations:We know you have tons of questions about your child’s teeth development. During your initial appointment and beyond, you can ask the dentist any questions you may have about your baby’s oral care. We’ll also discuss topics like the timing of tooth eruptions, the use of bottles and pacifiers, diet, toothbrushing techniques and the possible use of fluoride. Infant dental exam:Your baby’s exams will be performed with them sitting on your lap to ensure as little anxiety as possible. Our dentist sits directly in front of you and gently examines your infant with their head resting on the dentist’s lap. This strategy allows you to be intimately involved in the dental appointment and right there in case your child needs to be comforted. During the exam, your dentist will count teeth, inspect your baby’s mouth and more. These initial dentist visits allow us to work with you to make sure you and your baby avoid the pitfalls that lead to tooth decay. Plus, it ensures that future dental visits and treatment are seen more pleasantly. Kids grow up so fast. By the time they’re three, most children have their complete set of baby teeth. At Sprout Pediatric Dentistry & Orthodontics, we want to be a part of every stage of your child’s dental development, and this phase is one of the most crucial. Of course, each child is different, and yours may still have some trepidations about the dentist. That’s why we strive to make a trip to the dentist as enjoyable and comfortable as possible. Our staff loves working with kids, and we will cater to their comfort level. At each stage of your child’s development, we’ll check to ensure everything is on track, including evaluating their jaw growth, inspecting their quality of oral hygiene and seeing if there are any areas of trauma. We may also have to discuss oral habits that we observe, like thumb-sucking or teeth grinding. If we feel that your child needs x-rays to check for tooth decay or even a preventative fluoride treatment, we’ll always consult with you first. We understand your reservations and will always respect your wishes and concerns. By the time your child is seven, we may recommend their first orthodontist appointment. Most kids don’t need orthodontic treatment at this stage. However, the appointment will allow us to identify any orthodontic issues that may be developing or that are already present. Our office also specializes in orthodontic care, making this initial appointment simple, as all services are provided in-house. 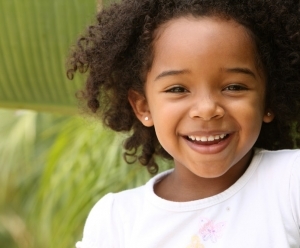 By the time your kid reaches the age of 12, dental exams will be a breeze. Unfortunately, oral hygiene may be another issue. This time is an important phase in their oral health, as most of their baby teeth have been lost, and their permanent teeth have grown in. Our goal at this stage is to instill a feeling of responsibility in adolescents so that they will take charge of their own oral health. At Sprout Pediatric Dentistry & Orthodontics, we take an individualized approach to the care of teenagers. We continue to educate them about proper oral hygiene and the prevention of tooth decay. We also listen to their concerns and input so that together, we can create a home care regimen that works for them and keeps their smile sparkling clean. 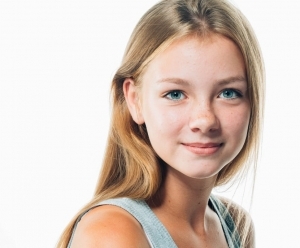 The time when your child hits their teens is also when orthodontic treatment is most common. Because we specialize in orthodontic care, you won’t have to go to another office for these services. We’ll be able to set up a consultation to discuss options with you, such as braces or Invisalign. We’re excited to be a part of your child’s oral health journey. At every phase, your kid deserves a place where they feel comfortable and happy. Schedule an appointment to meet with us at Sprout Pediatric Dentistry & Orthodontics, or call 503-477-9911.